Its been a while since our last blog post in June 2013!! The reason for this is that our capital project has been delayed by a year, due mostly to funds. But alot has been going on, some serious fundraising has been under way and we are due to start with the demolition of the centre building in June this year - hard hats at the ready! As well as receiving funds from generous individuals, trusts and foundations we have also been working with ceramic artist Dawn Youll, commissioning her to make a limited edition of porcelain swallows for people to purchase and show their support. These beautiful birds return annually to Cove Park to build nests and hatch their young. Their arched silhouettes darting about the sky above the site has become a very prominent feature of the summer residency programme and so the swallow was chosen as a motif reflecting both the migrant nature of our programme of artists and visitors and also the sense of belonging that is developed which encourages people to return. 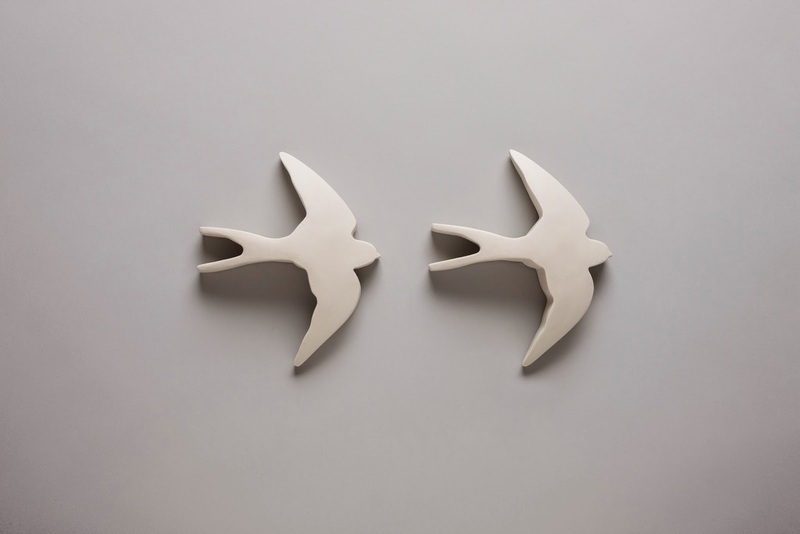 These can be purchased as a single piece or as a pair (one plain porcelain & one mother of pearl) from our website http://covepark.org/swallows or by contacting Cove Park directly on 01436 850123.